I’ve been looking into how bilingual education works in the different Spanish provinces (Comunidades Autónomas) that have their own language. It turns out that there are some significant differences. 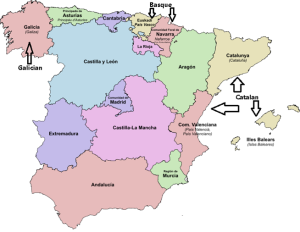 As shown below, the relevant provinces are Catalonia, Valencia, and the Balearic Islands for Catalan, Galicia for Galician, and the Basque Country and parts of Navarra for Basque. Minority languages of Spain (adapted from Martorell 2006) — click to enlarge. 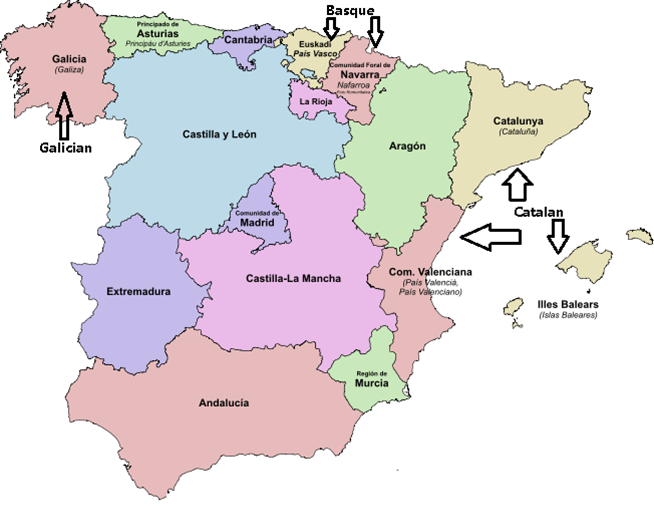 Castilian is the official Spanish language of the State. All Spaniards have the duty to know it and the right to use it. The other languages of Spain shall also be official in the respective Self-governing Communities in accordance with their Statutes. The richness of the different linguistic modalities of Spain is a cultural heritage which shall be specially respected and protected. Accordingly, Spain’s national education law requires children to study both Castilian and the local language in these provinces. This is a serious directive: to accommodate the extra language study, the percentage of class hours that schools are required to spend on basic subjects (math, reading, etc.) is decreased to 55%, compared to 65% in the rest of Spain (Article 6 in the law). Catalan, as Catalonia’s own language, will be the normal linguistic vehicle of instruction and learning and in internal and external activities of the education community: oral and written student and faculty activities, lectures, textbooks and other teaching materials, learning and evaluation materials, and communications with families. The language normalization statutes in Galicia and the Basque Country are more accommodating. Galicia’s (Articles 12-14) states that Galician is an official language in education (not the language as in Catalonia), and that “children have the right to receive their primary education in their mother tongue”, although “children cannot be separated by school because of language.” Likewise, the Basque statute states that “all students have the right to be taught as much in Basque as in Castilian”, and refers to the parents’ right to choose which language their child is educated in. In response to an earlier post, some readers commented about their own experiences with minority languages vs. Castilian. I’d love to hear from more of you. 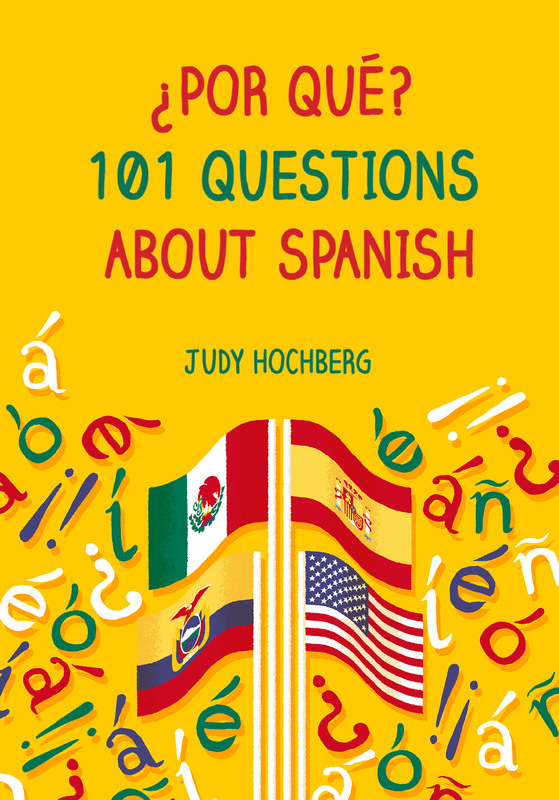 This entry was posted in Spanish in the world and tagged Basque, bilingual, Catalan, education, Galician, Spain, Spanish, Spanish Constitution on 12 May, 2013 by jhochberg. where does English and other foreign language fit in to this? That’s an interesting question. I’ll look into it and hopefully post on it. But I can tell you already that that’s not where sparks are flying…It would be like the difference in the United States between the (hot) debates over bilingual education and the (cooler) debates over whether to teach Latin, Chinese, etc. in secondary schools. Hi Bradley, I honestly haven’t looked into this issue since I wrote the post a few years ago. I recommend that you search for words like “castellano” and “educación” in the periodicals I linked to in the post. ¡Buena suerte!